Today marks a significant milestone in the continued evolution of MMGY Global. We’re excited to announce that we have acquired Hills Balfour, Europe and Dubai’s leading public relations and marketing communications agency specializing in travel and tourism. The firm, founded 20 years ago by recognized industry leader Amanda Hills, has expertise in public relations, representation and marketing, with a focus on international destination and hospitality clients. As a result of Hills Balfour’s brand recognition and long-standing reputation as European and Middle East leaders, we have decided to retain the name, and it will now be known as Hills Balfour, an MMGY Global company. Our London office will now be referred to as MMGY London and our Dubai office as MMGY Dubai. Both will be comprised of the Hills Balfour and MMGY brands, with the opportunity for other MMGY Global brands to join these offices in the coming years. We will begin integrating operations this year. Hills Balfour is our first major entrée into Europe and first acquisition outside of the U.S., significantly expanding our global footprint and ability to service existing and prospective clients worldwide. The addition of Hills Balfour brings our total number of employees to more than 400 and overseas offices to four, including Madrid, Taipei, London and Dubai. 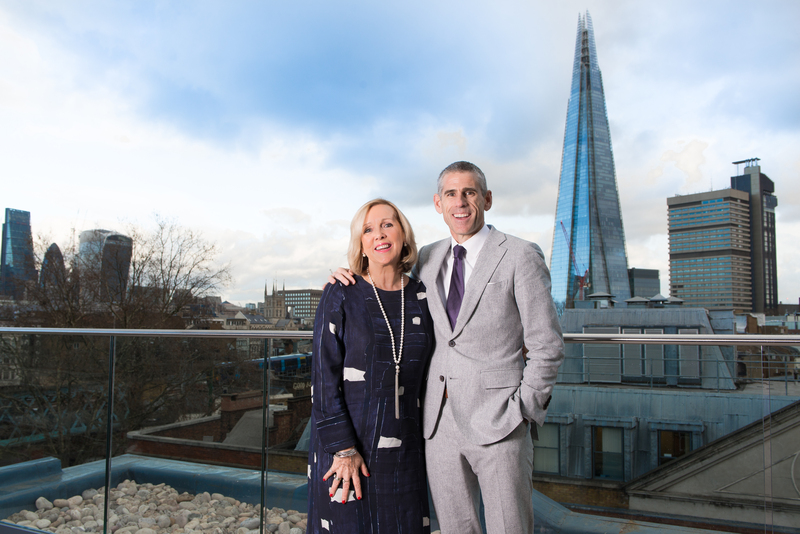 Amanda Hills, Hills Balfour’s founder and CEO, will remain an integral part of the business, continuing to oversee London and Dubai’s overall operations. She will assume the new role of President, HB and MMGY London and Dubai, partnering with our senior management team to grow our European footprint. “Joining forces with MMGY Global is a truly exciting move for everybody involved. We have worked with MMGY and their team through the Travel Consul network for a number of years, and this official partnering was the obvious next step,” said Amanda Hills. Hills Balfour is our fourth acquisition since private equity firm Peninsula Capital Partners (peninsulafunds.com) and Fine Equity Partners (investor Jeffrey Fine, founder of CIBT) made a significant equity investment in the company in February 2016. This investment further reinforces our commitment to global expansion and integration across all travel marketing channels. Prior acquisitions included DK Shifflet & Associates, Nancy J. Friedman Public Relations, Myriad Marketing and Spring O’Brien.